I was spending Easter week away from home for the first time, lured to Texas by the promise of the blooming Bluebonnet Trail, limited to just a few weeks in early spring — and it delivered, with hills and meadows blanketed by these cheerful flowers. In between drives around central Texas to appreciate this annual eruption of color, I had ample time to roam around my San Antonio base and admire its noteworthy buildings, many of which are accompanied by rather fascinating histories. These are my favorites. 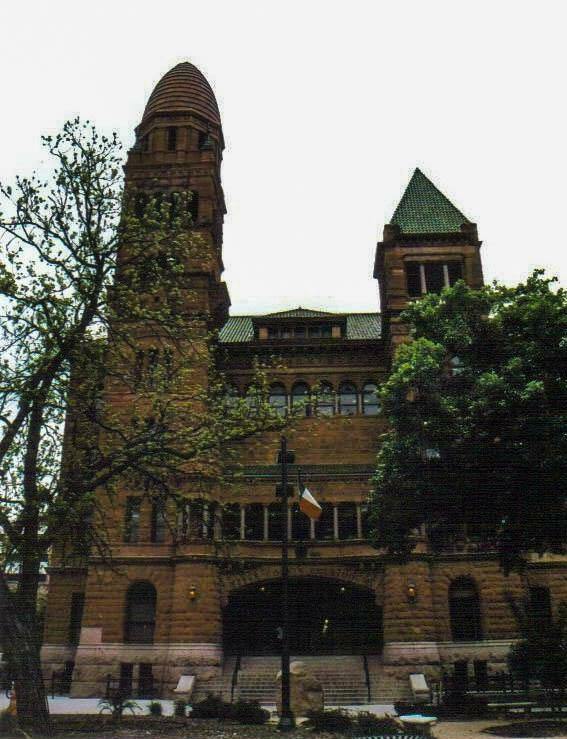 With nearly a dozen national and state historic designations, San Antonio’s most impressive building, the Bexar County Courthouse, stands as the largest historic courthouse in Texas. Designed by the prolific architect J. Riely Gordon, whose credits include 72 courthouses in the United States (18 in Texas) as well as the Arizona State Capitol, the building commands a prominent position on Main Plaza in the heart of downtown San Antonio. Preceded by four courthouses, the current building is the first truly American courthouse in Bexar County; its ancestors were constructed when Texas was part of New Spain, part of Mexico, its own independent republic, and a member of the Confederate States of America. Ground was broken in 1891, and the Romanesque Revival courthouse was completed in 1897, followed by four rounds of expansions over the decades. A project in the early 2000s eliminated the two most recent renovations, restoring the building to its 1927 grandeur. I was attracted to quite a few of the elements, all of which merge into a cohesive beauty that almost makes you want to go to court: the Texas granite base, the red sandstone employed for most of the façade, the red and green roof tiles, and the impressive façade of the north elevation, with its deeply recessed entryway, bands of windows on the upper floors, and the two asymmetrical towers: one topped by a green-tiled pyramidical roof, and especially the other, a taller tower capped by a red-tiled beehive dome. Operating as the Emily Morgan Hotel since 1984, the former Medical Arts Building dates back to 1924, when such high-rise offices for doctors and dentists were popular. Situated on a triangular lot and overlooking the Alamo, the 13-story building was designed by Ralph Cameron, who was also responsible for the Hipolito F. Garcia Post Office and Federal Building in San Antonio (one of the top 10 post offices in the world), and opened as the 25th medical arts building in the United States and as the tallest skyscraper in San Antonio, a record it held for only one year. The V-shaped building with a steep mansard roof capitalized on its height with off-the-wall stunts, such as tossing summer boaters off the roof on Straw Hat Day and having Boy Scouts sending semaphore messages to their mates on top of another nearby skyscraper. The conversion into a hotel stripped the interior of its original details, resulting in a completely contemporary décor, but the outside is just as magnificent as it was almost a century ago, easily earning it recognition by the National Register of Historic Places in 1977 and the Historic Hotels of America in 2015. The neo-Gothic brick and cut-stone façade features elaborate terra-cotta accents, particularly at the frilly top, where a hexagonal tower at the corner is brilliantly illuminated at night. While this building still impresses on a macro level, I was most entertained by the small elements — the sculptures of pharmaceutical details, caducei, and grotesques of figures suffering such medical ailments as toothaches, headaches, and arthritis that harken back to the days when this structure served only doctors and patients. The unexpectedly flamboyant First National Bank Building, just a block south from the River Walk, took me by surprise and made me question whether I was still in Texas. 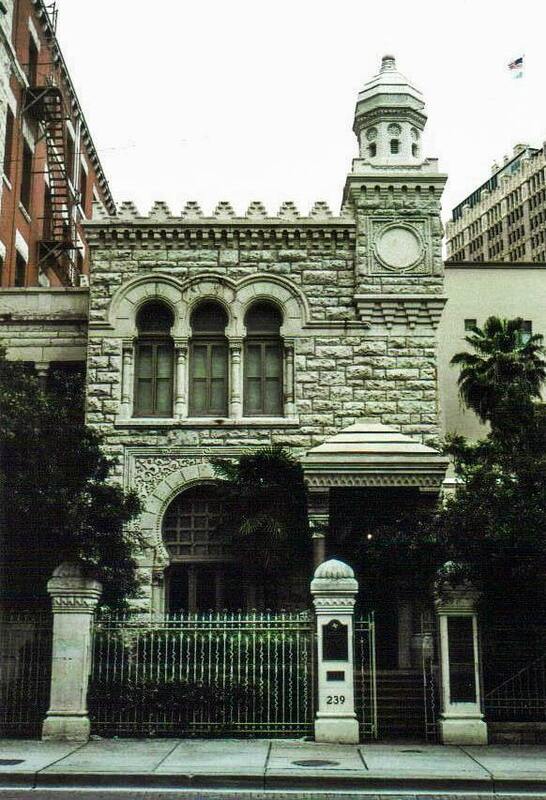 Completed in 1886 as the San Antonio National Bank, the first federally chartered banking institution in the city, the building served as the bank’s fourth structure. Employing rough limestone from local quarries for the entire façade, the building is fronted by ornate ironwork with floral decorative elements in between stone pillars. A decorative octagonal domed tower with intricate medallions in the southeast corner adds a whimsical touch of panache. The most eye-catching feature — the large Moorish arch over the first-floor window and the three Moorish arches above the windows on the second story — lend an air of the exotic to the former bank, which merged with Farmers National Bank in 1925 and continued to operate here until 1970. Added to the National Register of Historic Places two years later, it was purchased and restored by the Maloney family in 1978 and now operates as their law offices. Although I spied a couple of attorneys accessing the entrance under the pediment supported by four deep-rose columns, I wouldn’t have been surprised if a swarthy, robed prince emerged instead. 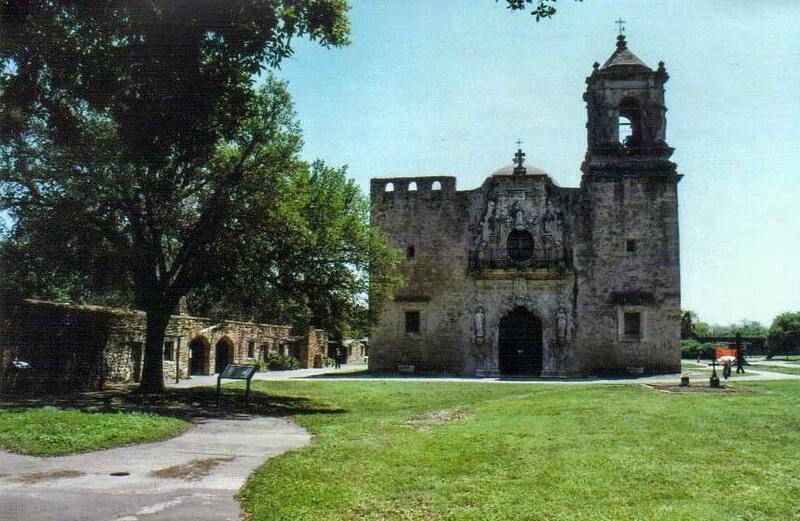 Of the five missions I was exploring along San Antonio’s 12-mile Mission Trail, Mission San José, named for both St. Joseph and José de Azlor y Virto de Vera, the Marquis de San Miguel de Aguayo, rose to the top as my favorite. Spanish colonists established this self-contained community in 1720 to convert Native Americans to Catholicism. Once the social and cultural community for 350 Native Americans who lived in rooms in the defensive stone walls, the mission — complete with herds of livestock as well as a grape arbor trellis and its own granary and gristmill (which still remain) — produced everything they needed to survive within its virtually impregnable walls and bastions. It features an arched walkway leading to a limestone church built in 1782 with an elaborately carved portal. Statues on the façade include those of the mission’s namesake as well as Our Lady of Guadalupe and saints Anne, Dominic, Francis, and Joachim. On the side, I admired La Ventana de Rosa — the Rose Window, the premier example of Spanish Colonial ornamentation in the United States. It’s not a typical rose window, though; for starters, it’s not round, and the glass is plain. The highly ornamented work around it, however, is outstanding. Legend holds that its name is really Rosa’s Window, a reference to the sculptor’s sweetheart, who was lost at sea on her way here from Spain. More likely, it was named after Saint Rose of Lima, the New World’s first saint. Mission activity here officially ended in 1824. In subsequent decades, soldiers, the homeless, and bandits occupied the buildings until the church dome and roof collapsed in the late 1800s, and the tower in the early 1900s. Restored during the Depression era by the Works Progress Administration, and then again about a decade ago, to look like it did in 1790, Mission San José has re-emerged as the most beautiful on the trail, deservedly earning the moniker “Queen of the Missions.” Now both a state and a national historic site, Mission San José also functions as an active parish: If you’re so inclined, you can attend Sunday Mass here. More than twice as tall as the former Medical Arts Building, the Tower Life Building rose to life in 1929. Originally called the Smith-Young Tower, this gorgeous neo-Gothic octagonal brick and terra-cotta skyscraper soars up 30 stories, topping out at 403 feet tall. 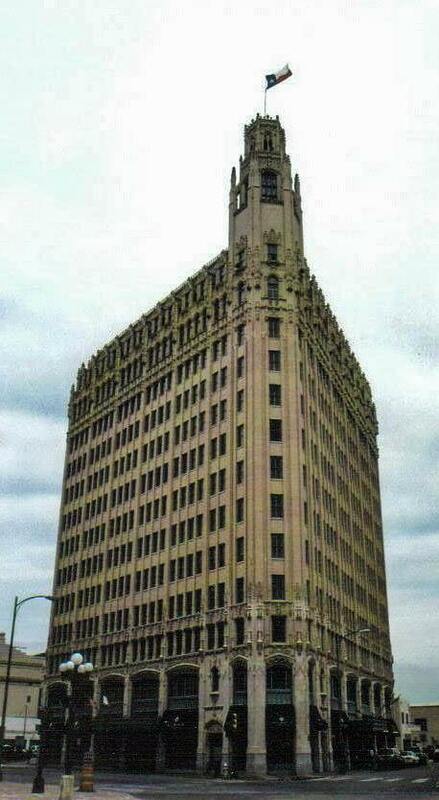 Although it has undergone a couple of name changes — it became the Pan American tower and then the Transit Tower, for the San Antonio Transit Company, in the 1940s, and finally took its current name from its present owner, Tower Life Insurance Company — its tiered design remains timeless, earning it a spot on the National Register of Historic Places in 1991. With lots of open space and low-rise buildings around it, the building has plenty of advantageous viewpoints, particularly to the south along South St. Mary’s Street. From here, it’s easy to appreciate the corner entrance, the six-story base that originally housed the city’s first Sears Roebuck & Co., and the trios of grotesques peering down at pedestrians. Above it, the setbacks of the upper floors provide its wedding-cake appearance. Glazed green clay tiles cover the pyramidical roof with dormer windows and topped by an elegant lantern, and ferocious terra-cotta gargoyles thrust outwards into the sky. 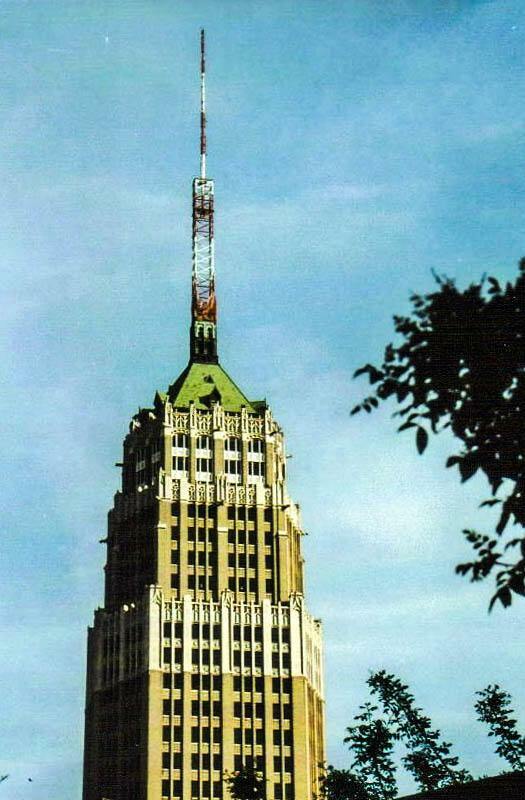 Although it has been a permanent fixture of the San Antonio skyline for 99 years, the Tower Life Building continues to evolve: The 150-foot television station antenna that was added in 1953 (pictured here) has since been replaced by a more refined flagpole that flies everything from the Lone Star State flag to a banner encouraging the local Spurs basketball team.